Club sessions are intended for all members to interact and play together, if any members are waiting please invite them to join in. 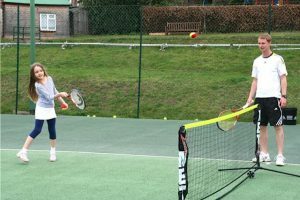 Adult coaching, we run various adult coaching sessions – evenings, weekdays and weekends! The juniors have coaching every Monday, Thursday and Friday. Classes start at age 4 through to age 17. It is necessary for children to be members of the club to receive coaching. Coaching is arranged by Matt Marlow who is our head coach and a member of the committee.